If your house is “underwater,” Chapter 13 can remove junior mortgages and equity lines of credit while saving your home from foreclosure. The Sader Law Firm can help determine whether your situation qualifies you to benefit from lien stripping. With more than 30 years’ experience, our attorneys are helping homeowners throughout the states of Kansas and Missouri. Our Chapter 13 attorneys are dedicated to providing individuals and their families effective bankruptcy help in a timely manner. When individuals and businesses get serious about getting debts under control, they need a serious bankruptcy law firm to provide guidance. We are a legal practice that puts its focus into providing personalized support to those dealing with stressful financial issues. 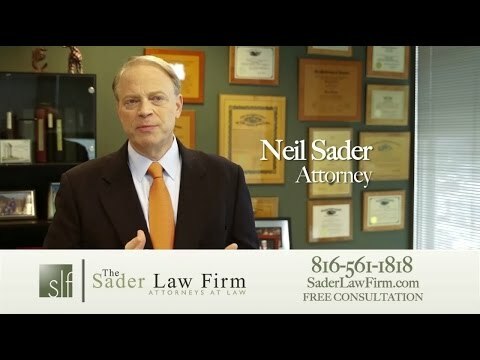 The Sader Law Firm has helped hundreds facing heavy debt burdens find relief through bankruptcy and other creative solutions. Lien stripping is a tool available for homeowners filing for Chapter 13 whose first mortgage balance exceeds the worth of the home. For example, let’s say an appraiser values your home at $100,000. You have pledged a first mortgage of $150,000 in addition to a second mortgage of $50,000 and a third mortgage of $20,000. You may be eligible to remove completely both your second and third mortgages. This is because the $150,000 due on your first mortgage is more than the $100,000 of the appraised value of your home. On the other hand, you may not be eligible to lien strip a second mortgage if an appraiser values your home at more than your first mortgage amount. For example, let us assume the value of your home is $175,000 and your first mortgage is for $150,000. Since the value exceeds the amount due on the first mortgage, the second mortgage holder has some value in the property. Thus, you would not be entitled to strip the second mortgage. However, if the first and second mortgage amounts combined are greater than the worth of your home, you may still be eligible to lien strip the third mortgage. In this case, the $150,000 of the first mortgage added to the $50,000 of the second mortgage equals a total of $200,000, which is $25,000 more than the value of your home. In a Chapter 13 bankruptcy plan, your third mortgage would be eligible for removal. Once you file for Chapter 13 bankruptcy, you no longer have to pay any dischargeable debt owed outside the repayment plan. This includes unsecured debts such as medical bills and credit card debt. It also includes second or third mortgages you are able to lien strip. As long as you complete your repayment within the three to five years as outlined by the plan, the bankruptcy court will remove the mortgage or deed of trust. If you receive your discharge, any amount left on the mortgage or deed of trust will be discharged. You do not have to keep struggling as the bills continue to pile up. Please talk with our foreclosure lawyers in Kansas City about what your best options are. We want to help you get your debt under control. We can also discuss how to save your home with a Chapter 13 bankruptcy plan.